This coffee will be fresh roasted for you. We expect 1000 Faces Coffee will roast and ship this coffee in 1-2 business days depending on their roasting schedule. This is the Ethiopia Guji Jet brought to you by 1000 Faces Coffee. This fully washed coffee was grown by the various small holder producers in the Guji region of Ethiopia between 1,900 - 2,200 meters above sea level. We love this coffee for its nuanced notes of delicate jasmine tea and honey like sweetness. These guys know what's what. Was expecting a bit more flavor from this coffee. Tastes best from a french press, unlike the other Ethiopian coffees I'm familiar with. Their ok, bland compared to what I've had. This was much better than the first roast. This is right around the flavors we typically enjoy drinking. Nice light body, smooth finish. This coffee was much better in terms of complexity, it had more going on, more body. I liked how the taste stayed with me like a good glass of wine from the first smell to the finish. The floral (jasmine) notes were not overpowering but I do like the "tea-like and citrus quality"
Light, sweet, earthy, with just a hint of fruitiness. Edit: definitely one of my favorites. Smooth and balanced flavors; none of the flavors overpowering, they're all present and balance each other out. I can't pick up the jasmine tea, but definitely taste the "honey like sweetness" as well as a slight citrus-like acidity towards the end. Awesome coffee! Very very solid. Love the depth - chocolate cherry almond notes abound. This coffee is a great coffee, but overall mild in the cup. The tea like description is evident, but I was not able to get much sweetness in the cup. I just really enjoyed this cup. Been away from it for a week--and forgot to post! 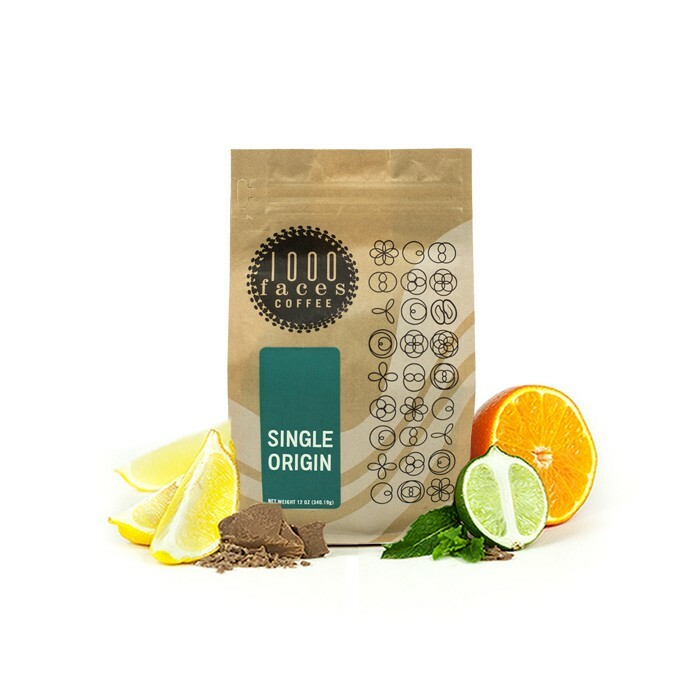 1000 Faces is one my favorite roasters, really happy to see them in the list! Ethiopia the homeland of coffee has given me some of the best brews in my lifetime. Among the various coffees I have tasted, Guji has become the popularly sourced region of notable quality. This cup at first glance was a muddied mess without clarity in the aroma. After a sip I was reminded of a cherry filled See's Candy. On the surface the body is hefty but underneath it brought honey with tea-like brightness near the back of the mouth. Just like one of those pieces of See's Candy, you might not realize what is present until you taste it. What makes this cup shine is this brew while unbalanced in texture and consistency of flavor notes, gives you a pleasantly unexpected experience. This unbalanced brew is like the hard chocolate shell on the candy that hides away the fruit. A bitter bite that sweetens as you go further. I recently had a Yirgacheffe that reminded me why Ethiopia is my favorite region. Following that, this Guji Jet was rather disappointing. Too sour and a bit dirty tasting. A great coffee. I liked the balance between chocolate, fruit and honey in the flavor. Very balanced and interesting. I would purchase this coffee again.